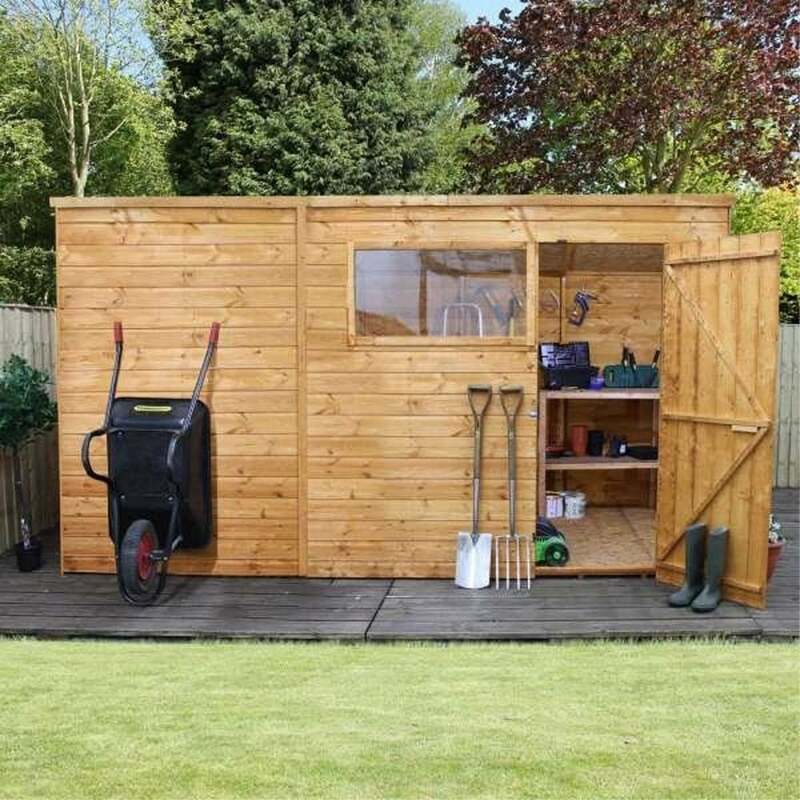 Mercia 10 x 6 Shiplap Pent Shed Single Door: The Mercia shiplap shed features this spacious design enabling you to store all your garden tools and equipment but without taking up too much garden space. The 10 x 6 Mercia shiplap shed comes in this traditional pent design which allows water to runoff and prevent wood rot. The Mercia shed is built with FSC certified, 12mm tongue and groove interlocking cladding for a sturdy and long lasting finish. The 10 x 6 garden shed also features a styrene glazed window to allow natural light to filter through the shed and is a much safer alternative to traditional glass glazing.